Merchandising is not comparable to a simple math equation. It includes a multitude of factors including store image and layout, design, staff, goods available, sales promotion, budgets, fixtures and location of the business itself. That said, research has shown that consumers spend $5,400 a year on impulse purchases. According to one 2018 study, 49% of the purchases of 18 to 24 year olds were the result of impulse buying. Another study revealed that an average American spends a whopping $324,000 on impulse purchases throughout their lifetime! So how can you – as a retailer - improve merchandising to take advantage of impulse buyers? First and foremost is knowing your clientele. You need a clear and full understanding of who your customers are to know what they want and what will appeal to them. This includes their age range, gender, what is likely to draw them into your business, average time spent browsing, price range, etc. Once you know these factors, you can begin utilizing impulse purchasing techniques. People have an easier time justifying impulse products because they are often the ones that are less expensive, smaller and readily available. Think about how grocery and retail stores have candy and mints at checkout. It’s simple to just throw small purchases into your cart. Your business may not be selling mints, but you can scale the product based on your industry. 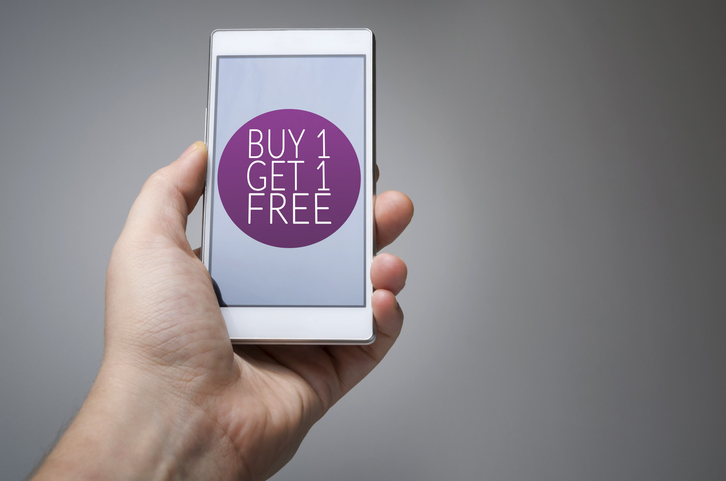 Apps, emails and texts with a time-sensitive sales code can lure customers into your store. When sending a sales message, make sure the coupon or deal is good enough to make people go out of their way to come to your store. Impulse shopping ultimately leads to impulse buying, so use this technique as an effective way to get customers’ feet in the door. If you are trying to promote a certain product, make sure the customers can access it easily. Display it at the front of the store so that the buyers can see it when they walk in. Other 'hot spot areas' might be at the cash register, displayed between eye and knee level, or at the beginning or end of each aisle. Spread the product out so that it is easy to grab. Similar to accessibility, you want to draw customers’ attention to the product you’re trying to sell. You can use brightly-colored signs on tables to promote new sales or install large, eye-catching signs for new or popular items. When customers notice that buying the product is hassle-free, they are more likely to do so. A 30-minute wait in line might be enough to turn a customer away. To avoid this, make sure there are enough checkout counters and staff to avoid long lines, offer the options of paying via credit card or cash, install self-checkout, and employ one staff member to bag or package the items. Also, make sure there is enough staff on the floor to answer any customer questions. Placing items that go well together can often seduce a customer into buying the package deal. For example: placing cream next to strawberries, popcorn with DVDs, salad dressing in the vegetable aisle or coffee mugs alongside coffee jars. This will trigger a thought in the buyer's mind to consider purchasing the complimentary item. The tips mentioned here merely skim the surface of impulse sales. The important thing to take home is that paying attention to details can really make a difference in impulse purchasing. Take a look at your business and identify the areas that you can change so that you can really bump up impulse sales! If you need help knowing where to start, work with a SCORE mentor. We would love to help you brainstorm ideas, so your business attracts its ideal clients.